Is Your Thermostat a Mismatch for Your HVAC System? Posted in Thermostats | Comments Off on Is Your Thermostat a Mismatch for Your HVAC System? If it’s time for you to replace your thermostat in Westport, there are a few options from which to choose. It’s important to work with a professional when choosing, installing or replacing your current thermostat to ensure you get the right one for your home. Why? The right thermostat should be energy efficient, easy to use and improve overall comfort. For almost 40 years, Celco Heating and Air Conditioning has helped Westport, CT customers with their thermostat replacement, and we can help you, too. Digital thermostats have easy-to-read faces and a precision of temperature control which you won’t get with a slide or dial thermostat. Upgrading to a digital thermostat can help reduce energy use, which may help lower monthly energy bills. A digital programmable thermostat allows you to program, in 7-day loops, the cooling for every day. You can program for daytime and nighttime, for times of day when no one is home and any other type of scheduling you may need. With a programmable thermostat, set up your program once and let the thermostat do the rest. 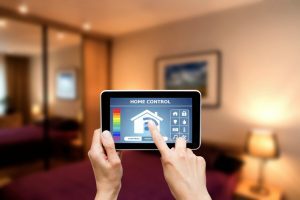 A wi-fi thermostat connects to your home’s internet outlet and allows you to monitor, manage and program your temperature settings from any kind of smart device. Most wi-fi thermostats come with a free app you can easily download for remote access. If you are ready for thermostat replacement in Westport, CT, call the experts you can trust: Celco Heating and Air Conditioning.